Petrolicios decided to celebrate Valentine’s day a bit special this year: Ron Ng’s declaration of his love for the hachi-roku! He claims to have owned a total of eleven AE86s and his white Toyota 86 complements his latest white AE86 build! His latest build is a Toyota Corolla GT-S, but brought into JDM spec with the correct kouki bumpers and a 20 valve 4A-GE. I agree with Ron that the sound of the 4A-GE is one of the most incredible sounds possible! It really sends shivers down anyone’s spine! Ron Ng already owned then hachi-rokus prior to this one. He says he keeps coming back to the AE86 again and again. Selling some, buying new ones. Never being satisfied with the one he had and reselling it again. And now this last build is the final build he has been yearning for all these years. In addition to his white Corolla GT-S (made to look like a JDM Sprinter Trueno) he also owns a white Toyota 86. According to Ron it comes close, but not close enough. That really is a shame, as Toyota made it the spiritual successor of the AE86. 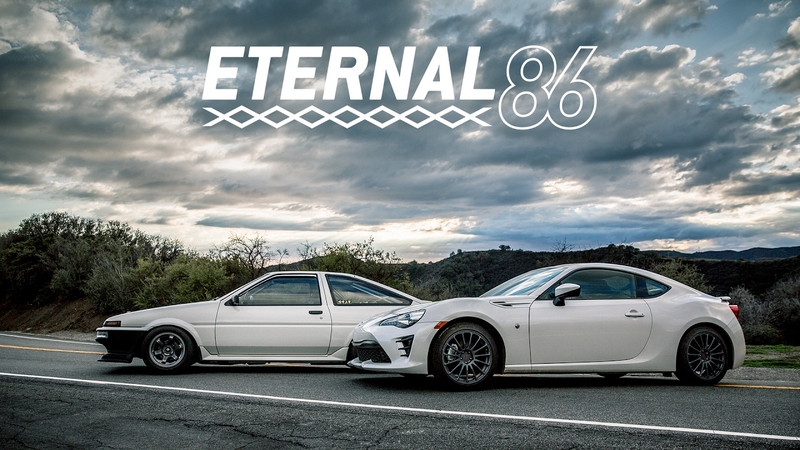 Perhaps if Toyota would have made the 86 a bit more lightweight and high revving? Given the fact that this is the third time Petrolicious is featuring an AE86, aren’t they actually the ones that are actually loving the hachi-roku? Or have they simply had an overflow of AE86 owners requesting to be featured by them? This will probably remain a mystery to us, but we can only be thankful to Petrolicious for making these videos! Thank you Petrolicious, for making a petrolhead gift for us on Valentine’s day! The eternal love for the hachi-roku! Which car will it be next year?